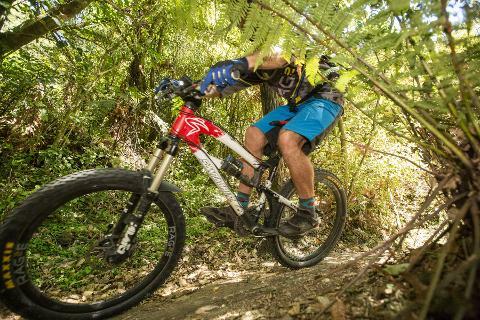 This is Bike Taupo's first track and it's the key to all the track systems by getting you between Taupo and Huka Falls then into Craters MTB Park. Starts at the car park in Spa Park which is at the end of County Avenue (there is a pump track off County Ave on your right). Rotary Ride is a very cool track to ride which splits in a number of places to a one way single track. 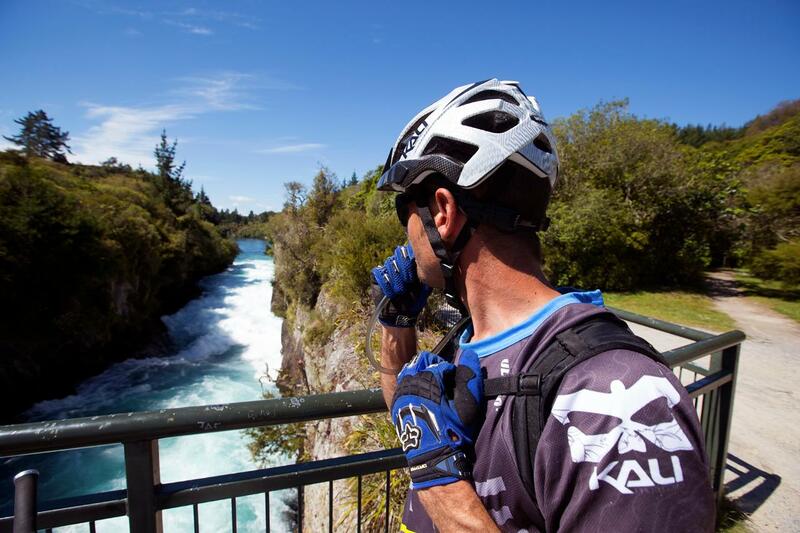 During the ride you will pass the spectacular Huka Falls, make sure you get a photo the most photographed natural attraction in New Zealand. 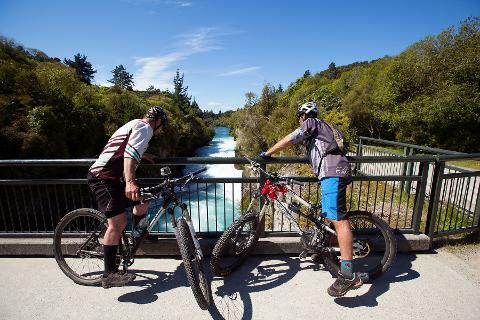 From here you can ride down to Aratiatia Dam to watch the dam gate open. The Dam gates open at 10am, 12pm, 2pm and 4pm (summer), and 10am, 12pm and 2pm (winter) and are an impressive sight. 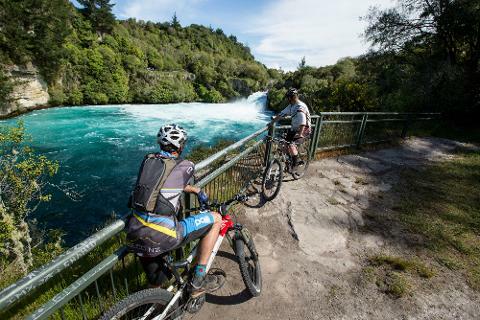 From here it is a fantastic ride back following the Bike Taupo signs past the Wairakei geothermal power station, trough the back of Wairakei Resort past a beautiful green thermal stream, then the Volcanic centre and the Hub Café. 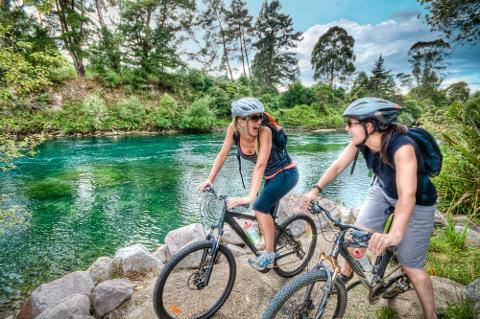 You can either opt to ride back to Spa Park the same way you came or get us to shuttle you back to Spa Park from Huka Falls. There are just too many attractions to list on this ride, why not make a day of it and spend the day visiting some of them, let us assist with your bookings. A great one for the family. 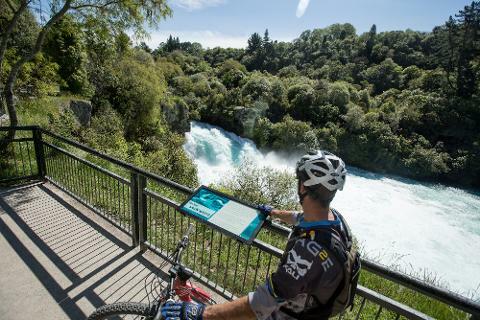 Includes professional guide, bike hire, helmet, repair kit, transport, DOC fee, snacks and refreshment. Get 10% off if you book with 2 people or more. Please call us at 027 480 1231 or email us at info@tka.co.nz to arrange time.